Public Works Department delhi is the premier agency of Govt. of NCT of Delhi engaged in planning, designing, construction and maintenance of Government assets in the field of built environment and infrastructure development. Assets in built environment include Hospitals, Schools, Colleges, Technical Institutes, Police Buildings, Prisons, Courts etc; assets in infrastructure development include Roads, Bridges, Flyovers, Footpaths, Subways, Foot Over Bridges etc. 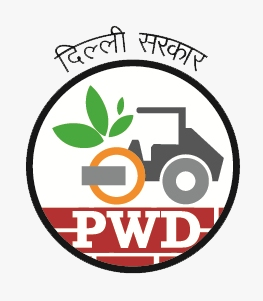 PWD Delhi also sustains and preserves these assets through a well developed system of maintenance which includes amongst others specialized services like rehabilitation works, roads signage and aesthetic treatments like interiors, monument lighting, landscaping etc. PWD Delhi carries out its activities of assets creation on the basis of the needs and requirement decided by the Govt. of Delhi and as assessed & appreciated by the PWD through its in house technical expertise. Works are carried out after obtaining formal administrative approval and expenditure sanction from the Govt. of Delhi within the allotted funds for the schemes. The governing principle behind the our sphere of activities is to ensure that the asset is durable, functionally efficient , serves the intended purpose, is created within the reasonable time period, is in conformity with the declared policies of the Government, and would satisfy the user, the government and the public at large. With a view to provide a green and pollution free Delhi, PWD has been nurturing lakhs of tress, plants & shrubs and thousand acres of lawns & gardens on PWD roads, Govt. Colonies & Offices premises. a) Maintenance Zone- I Central South, South West and New Delhi Districts. b) Maintenance Zone- II East and North East Districts. c) Maintenance Zone- III West, North West and North Districts. a) Building Project Zone-I All projects related to construction of buildings relating to Judiciary, Police Housing, Transport, Housing. b) Building Project Zone-II All projects related to construction of hospitals, Education Sector. c) Flyover Project Zone-I Flyovers, Railway Under Bridge, Railway over Bridge, Tunnels, vehicular Underpass. d) C'wealth Project Zone All projects related to Commonwealth Games 2010 and games related flyovers. Maintenance of roads & buildings and construction of new buildings costing upto Rs. 30 crores in South-West & West districts of Delhi & the Ring Road from AIIMS to Punjabi Bagh clockwise, Outer Ring Road from IIT to NH-8, Janakpuri to Peera Garhi and other PWD roads in this sector. Maintenance of roads & buildings and construction of new buildings costing upto Rs. 30 crores in East & North-East districts of Delhi & also including bridges across river Yamuna as well as Delhi Sachivalaya Complex. Maintenance of roads & buildings and construction of new buildings costing upto Rs. 30 crores in North & North-West districts of Delhi & the Ring Road from Punjabi Bagh to ISBT clockwise, Outer Ring Road from Peera Garhi to ISBT and other PWD roads in this sector. Maintenance of roads & buildings and construction of new buildings costing upto Rs. 30 crores in South, Central & New Delhi districts of Delhi & the Ring Road from ISBT to AIIMS clockwise, Outer Ring Road from Modi Mill to IIT and other PWD roads in this sector. Construction of major projects costing more than Rs. 30 crores of all departments throughout Delhi except Health Department. Construction of major projects costing more than Rs. 30 crores of Health Department including maintenance of LNJP Hospital Complex, GTB Hospital Complex & BSA Hospital Complex. Construction of new Flyovers, ROB/RUB, Underpass and new corridors throughout Delhi. 122 - Commonwealth Project Division CW 111 M 121 EE (C) (Dwarka Court) & Blds.